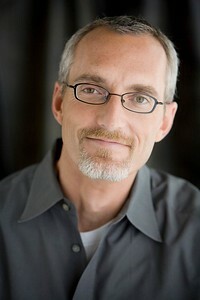 Nashville, TN – Phil Vischer, Founder of Big Idea Productions and Jellyfish Labs, is scheduled to speak at the second annual NRB Film & Entertainment Summit in Nashville, TN, on February 26, 2016. “We gladly welcome Phil Vischer’s participation at our Film & Entertainment Summit, and we look forward to what he will share with attendees regarding successful animation,” commented NRB President & CEO Dr. Jerry A. Johnson. “His VeggieTales series has reached and impacted countless individuals – both young and old. His insights will be valuable to others looking to do the same." In 1990, Phil Vischer created VeggieTales, an animated video series crafted to teach Christian values to kids in a delightfully different way. More than 60 million VeggieTales videos have been sold around the world. These days, Vischer continues to pursue innovative new ways to integrate faith and storytelling through his creative company, Jellyfish Labs. His latest projects include a 13-DVD series called Buck Denver Asks…What’s in the Bible?, which walks families all the way through the Bible, and JellyTelly, an interactive, online network that provides faith-based daily programming for families. In addition, Vischer hosts a lighthearted weekly podcast called The Phil Vischer Show, in which he discusses pop culture, media, theology, and Christian life. Vischer will be one of several speakers at the second annual NRB Film & Entertainment Summit, a one-day event taking place during Proclaim 16, the NRB International Christian Media Convention. The summit will bring together top Hollywood entertainment professionals, distributors, financiers, stars, filmmakers, composers, and executives who will share their secrets to successful financing, filmmaking, storytelling, and much more. Session topics include “How to Succeed in Mass Audience Movies, Television & Entertainment (Without Losing Your Soul),” script writing, financing, composing for movies, development, directing, production, post production, distribution, and marketing. Activities also include movie screenings, filmmaker Q&As in the main sessions, and a Pitch-a-thon. Last year, one of the top Hollywood producers whose movies have grossed more than $3 billion at the box office optioned a script at the Pitch-a-thon. To register for the Film & Entertainment Summit visit nrbconvention.org.